Right, starting to go through some of the stuff in wardrobe to ID. Does anyone know the name of this design please? Sorry, I meant colourway, I already know it is Fiesta. I'm not sure what you mean by the colourway name .... I have seen the coloured banded ware in other colours too. You are most welcome to use the backstamp photo Ev. I only asked for a name because most of the CL has a name of some sort. That colour is the only one I have seen like that, do you know what years it was produced? 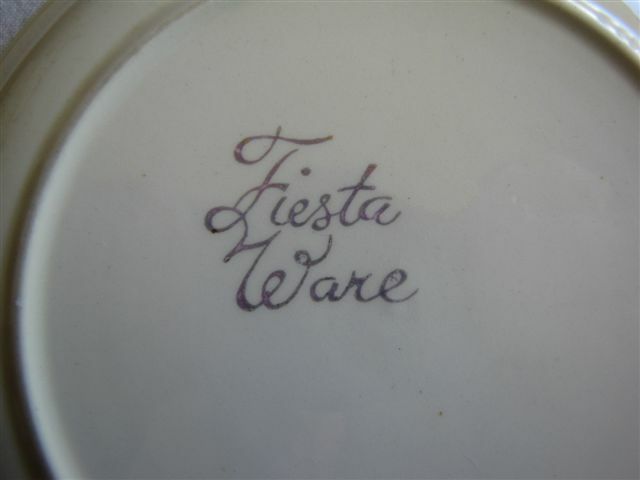 The Fiesta Ware backstamp is from the 1950's and 1960's according to Valerie Ringer Monk. I have seen the same bands on other ware but in different colours .... Red/Green/Yellow/Grey with the Fiesta Ware backstamp. Folk seem to call the design Fiesta - but I haven't seen anything yet to substantiate that. 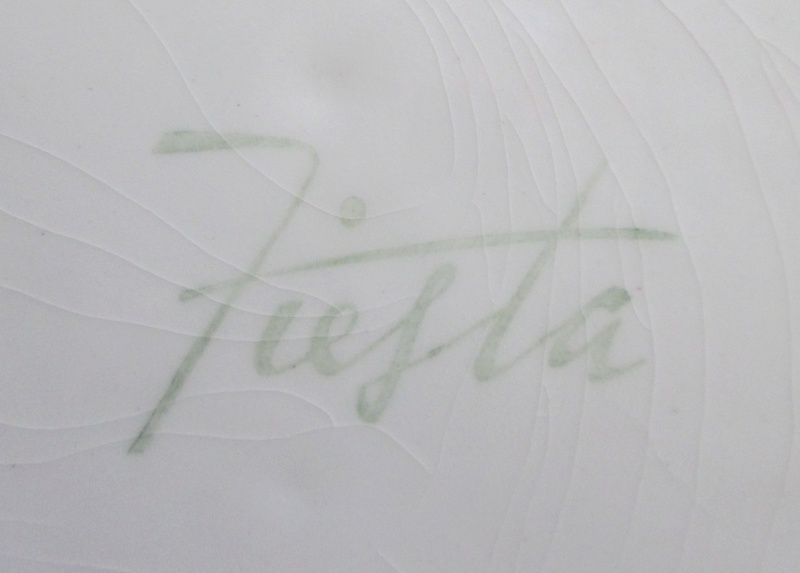 Found a piece about Fiesta Ware in Val Monk's book. 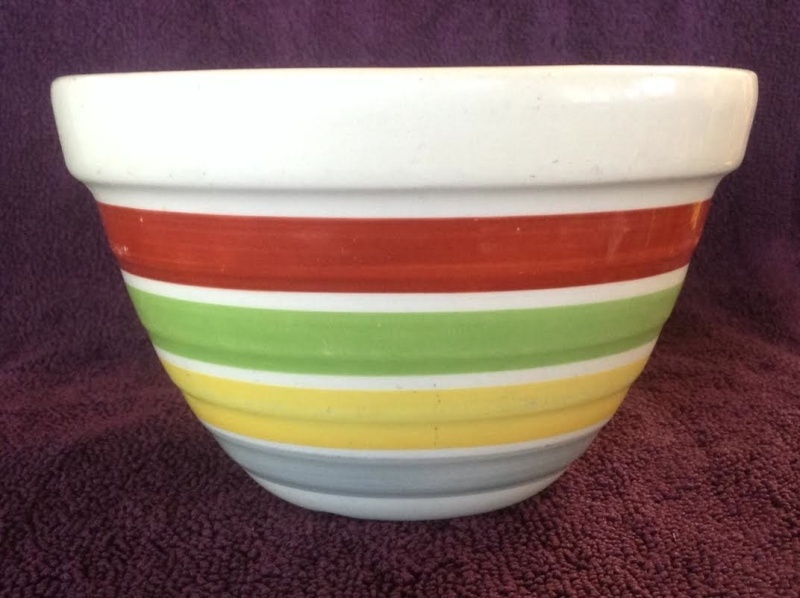 During the late 1950's bowls were hand painted with bright bands of colour. 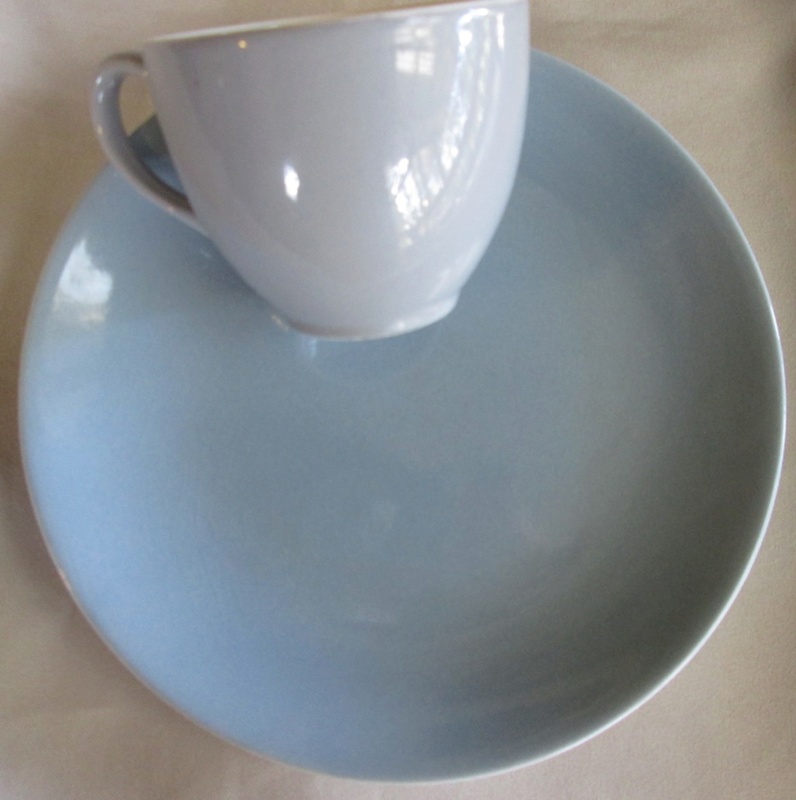 The range included a dinner set, bowls and a condiment set. 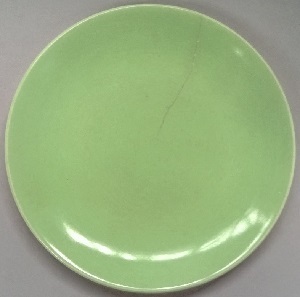 The colour was applied on top of the glaze and was easily damaged. 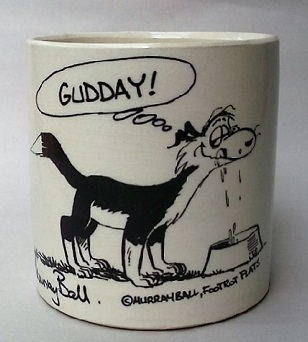 Later the bands of colour were applied with underglaze colours. and yours looks in perfect condition. The plates I have have bits of colour missing from them, the bands are definitely overglazed. A shame because the carousel pattern I have is underglazed and has stood the test of time. Incidentally, I have two different Carousels, the first one has bands closer together and backstamp is in cursive writing, the second style has more defined bands and backstamp is different. 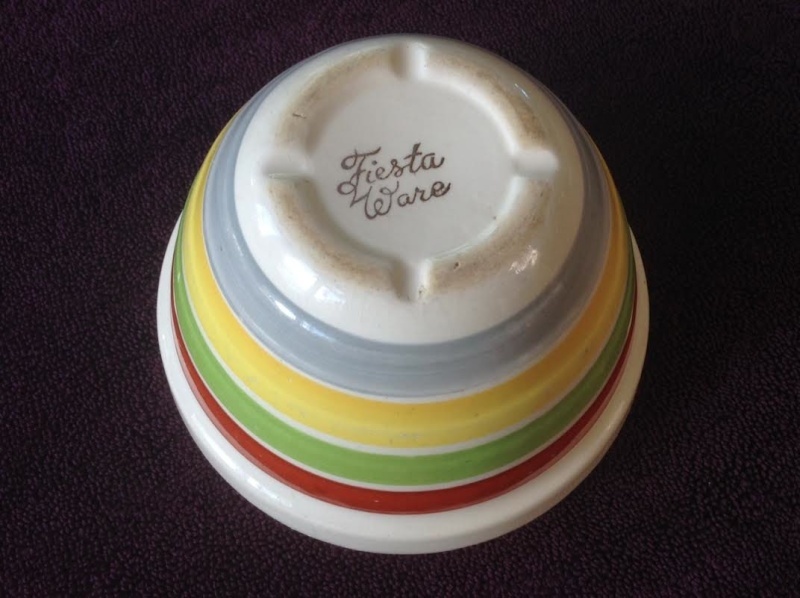 Fiesta Ware Small Beehive Bowl. This is just one of our kitchen bowls. I just noticed it has a shorter top land than our other small beehive (impressed MADE IN NEW ZEALAND) and is consequently slightly smaller (in both height and diameter). 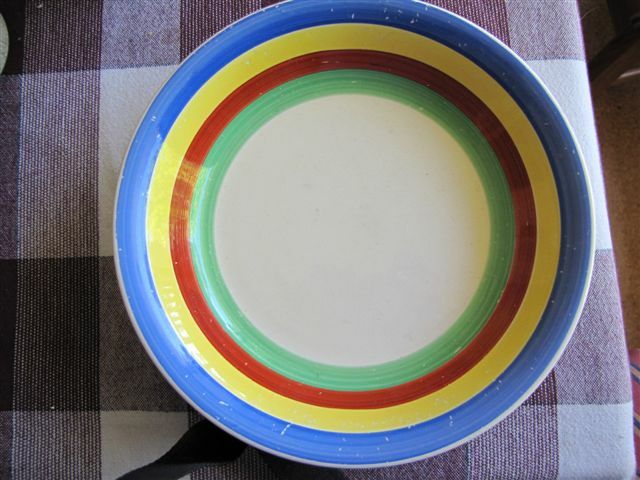 I was given this Fiesta plate recently and even though it is cracked it shows that some of the matching crockery was decorated in plain colours that matched the bands of colour. Now to me this colour is under the glaze and in good condition unlike much of the banded pieces that I've seen. 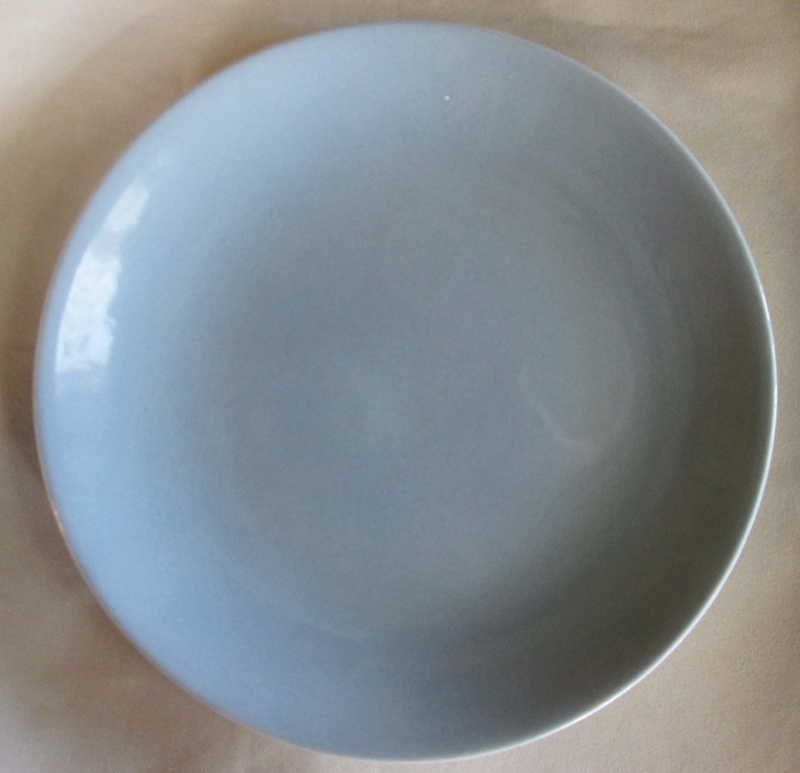 Grey Fiesta side plate, this colour glaze is a darker grey or blueish/grey. Red & Yellow to find.. 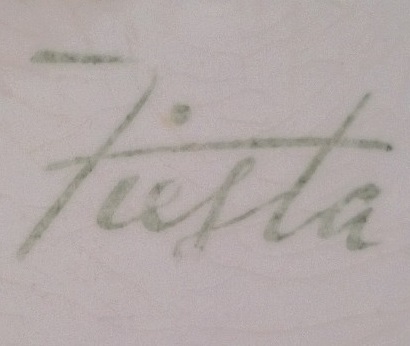 These Fiesta backstamps are quite different to the Fiesta Ware...? Hhmm..